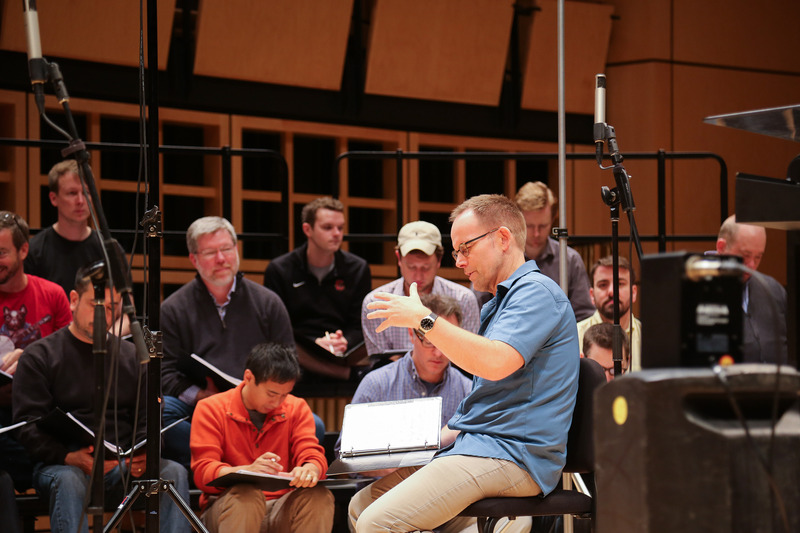 Craig Hella Johnson directs Conspirare during a Sept. 2014 recording session in the Music Center’s Sauder Concert Hall. 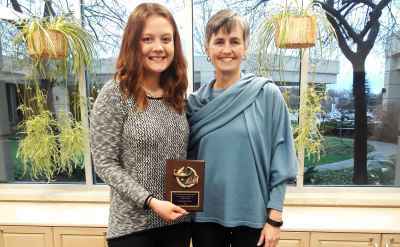 An album by Conspirare, recorded in February and March of 2016 in the Goshen College Music Center’s Sauder Concert Hall, debuted at no. 4 on the Billboard Traditional Classical chart earlier this month. 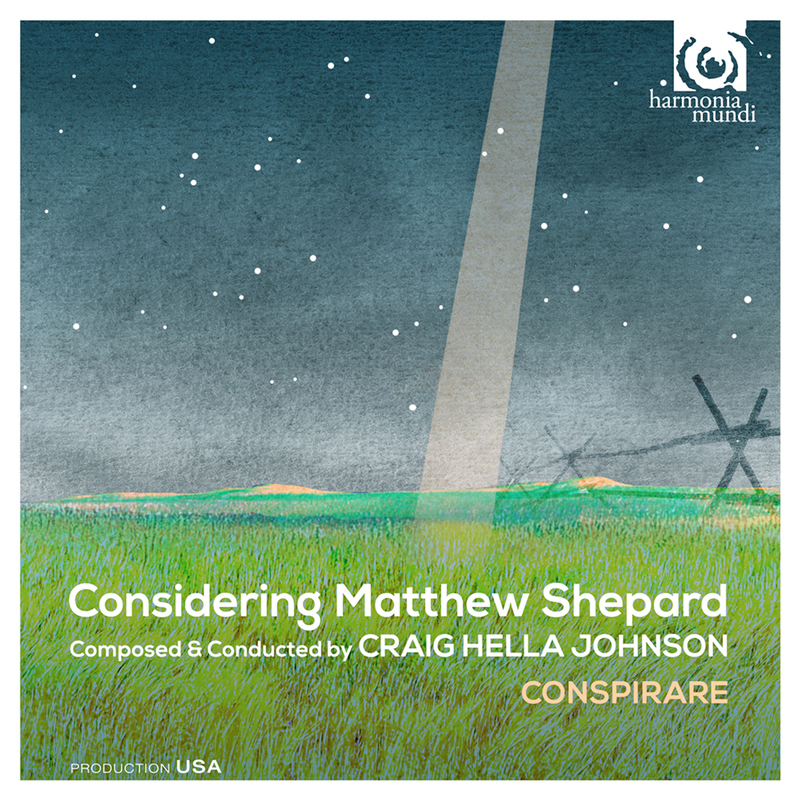 Conspirare’s 9th CD release is titled “Considering Matthew Shepard,” a concert-length masterwork by Craig Hella Johnson, who founded the group of professional singers from around the country in 1991 and serves as artistic director. Based in Austin, Texas, Conspirare first performed at Goshen College in 2010, and returned in 2014, both for Performing Arts Series concerts. Following their September 2014 concert, the group recorded their 7th album, “The Poet Sings: Pablo Neruda,” in Sauder Concert Hall. Nominated for six Grammy awards in the past 10 years, Conspirare won a Grammy award for Best Choral Performance in 2015. The Wall Street Journal commended Johnson’s ability to “find the emotional essence other performers often miss.” Designated the official Texas State Musician for 2013, he is renowned for the knowledge, artistic sensitivity and creativity he brings to the art of choral conducting. The most recent album is Johnson’s musical response to the tragic death of Matthew Shepard, who has become an American icon and a symbol for hope and empowerment. 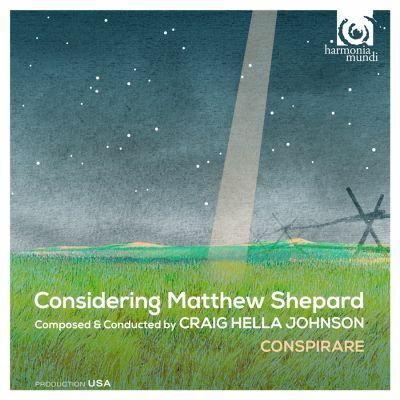 Shepard’s story haunted Johnson for years and finally impelled him to compose a chamber ensemble with a rich variety of texts by Lesléa Newman, Hafiz, Hildegard von Bingen, and Michael Dennis Browne as well as by Matthew Shepard (from his own journal), his parents and the composer himself.